Last week, my first born turned 20. Twenty. Two full decades. And, yes, He does. Thank God, He keeps giving her birthdays. She has been such a blessing for all of those years and birthdays. 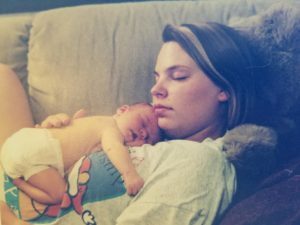 I have told her birth story many times but never written about it. Since she may read this, I'll keep it short and without too many birthy details. She was born at home, in the water. She was born by candlelight just minutes before midnight on Sunday, saving me from a 3rd day in labor. It was a beautiful birth and a marvelous start to our family. I wish I had listened to my midwife and gone to bed when my contractions started. My early labor was pretty easy and I could have rested, but I was so excited to meet the little person who had been battering me from the inside and I went for a walk and continued nesting. I finally did climb in bed for some rest, but when hard labor hit about 12 hours later, I was getting tired. I spent most of the last 7 hours of labor in the birth pool and loved the water for the pain management and comfort it provided. I did have to get out for a while to let gravity help with the last bit of dilation and was so happy to get back in that lovely water. I was so tired by the time I had to push that I fell asleep between contractions. Having the supportive team I did, I was allowed those short naps and when I really lost my energy, my midwife knew just how to help me and keep me going. 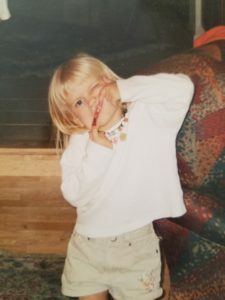 As soon as my daughter was born and placed in my arms, I cried, “Oh, she looks like me.” Everyone laughed at me, not knowing why I said what I did. You see, I met that little girl the week before she was born. I saw her face in a dream and knew her at once. After that dream, I had looked at my own baby pictures and saw the resemblances. She looked exactly as I dreamed her. 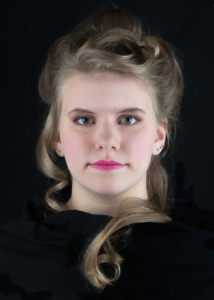 She even had thick blonde hair – something I had never seen on a newborn. Since God gave her that first birthday, she has been a true blessing. She has been a calming presence when things have been crazy. She is delightfully funny and encouraging and a bit of a smart-alec. I'm so very glad she is here and that God keeps giving her birthdays! She is a treasure all right. Your nestiness reminds me of what I did in labor with my son. He was a VBAC home water birth too. Early in labor, I was thinking of the unfinished baby blanket I was knitting for him. I was between contractions, and I announced to the midwife’s assistant (midwife was en route) that I thought I might like to do a bit of knitting between contractions . She redirected me on that and I quickly realized that I wouldn’t be knitting.